As I mentioned in my cardboard kitchen post, I had A LOT of boxes at my disposal to get creative and make another toy for my kiddos. It’s crazy how many diaper boxes we have gone through – so crazy that I don’t like to think about it! 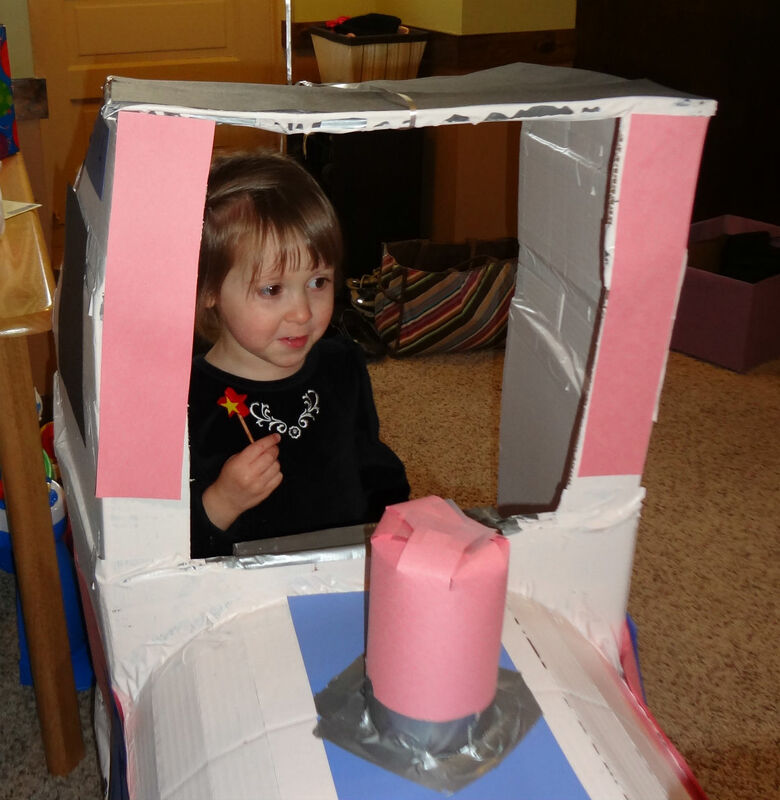 When my daughter said she wanted an engine birthday party, I knew I had the perfect idea to use up some of our boxes: a cardboard choo choo train! I didn’t really use a pattern, though I had these tips in mind while getting started. Basically, I had one long box that spanned the entire length of the train engine, and cut up boxes to build up the engine compartment, using A LOT of duct tape to secure everything in place. I scored and cut another box to make the round portion and made the funnel out of a cereal box. I found some old ribbon spools to make the circle buffers in front. Everything was painted in a light pink latex paint (left in our basement by the previous owner). 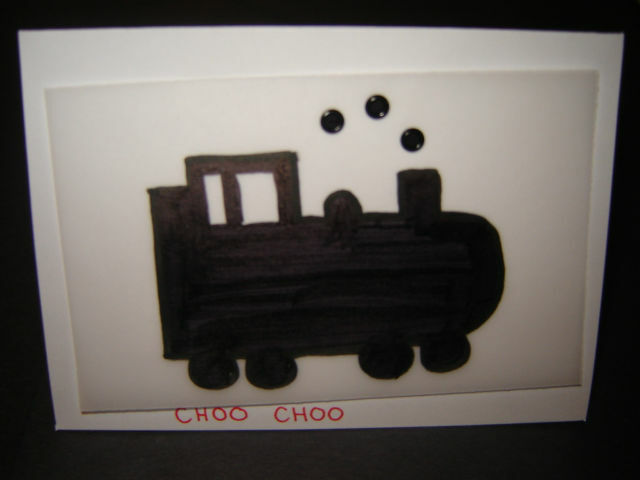 The stripes and any other colored area are simply construction paper affixed with a spray adhesive. 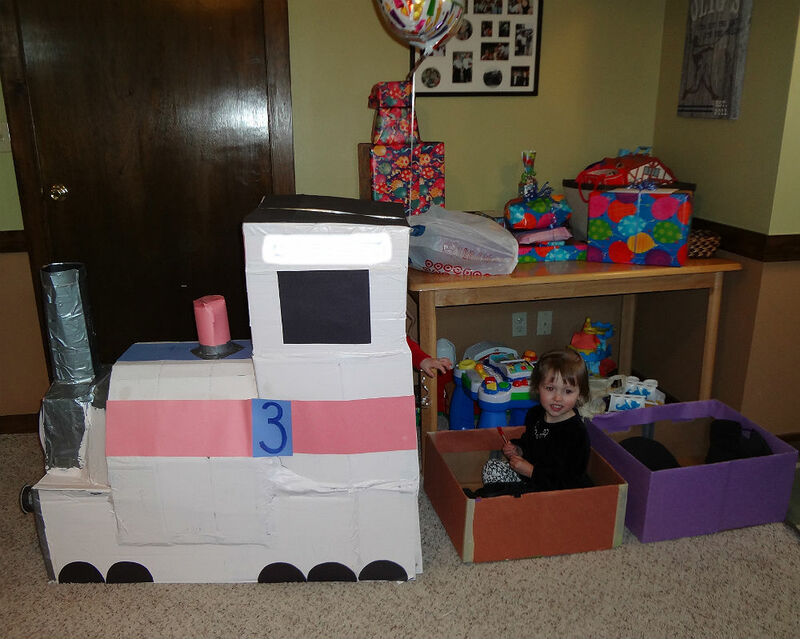 I also made “passenger cars” – one brown and one purple – by putting together two diaper boxes. 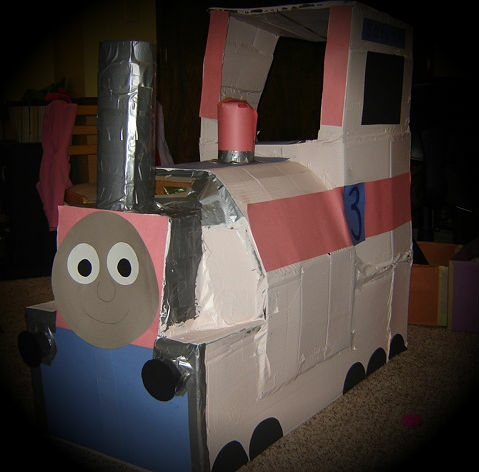 All in all the cardboard choo choo was a BIG HIT at the party! We also had an “engine” birthday cake, just as I ordered via phone from our local bakery. To our surprise, they put a red fire engine on it instead of a train engine. Our birthday girl didn’t seem to mind, plus the cake was delicious! The text inside said, “That’s train for Thank you!” I certainly enjoy taking time to create something fun and special in honor of my children’s birthdays. 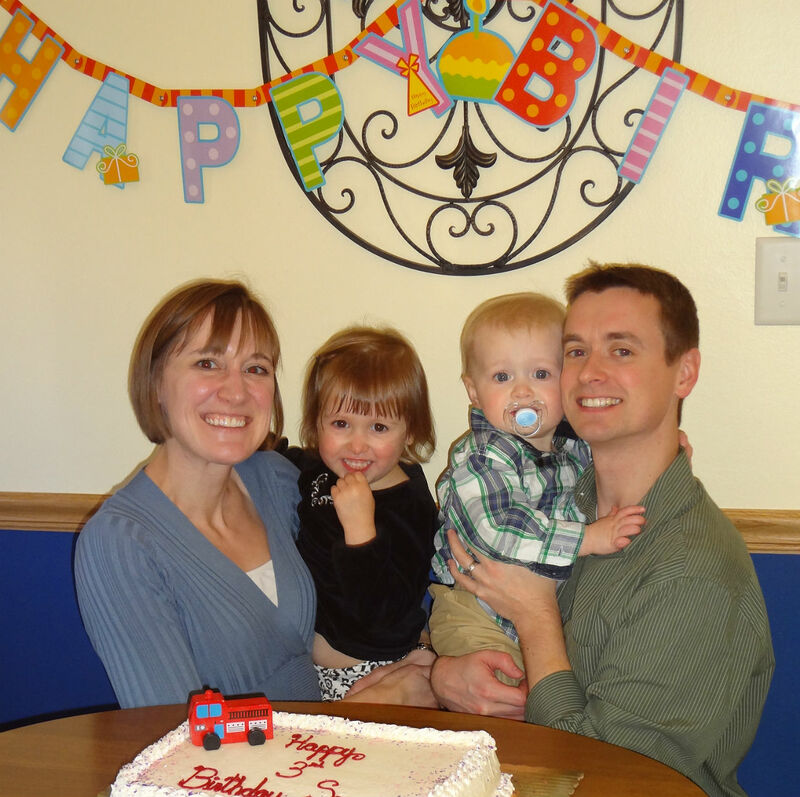 We really had a wonderful time celebrating with our family.